In popular conceptions, immigrants are often thought of as poor, huddled masses yearning for the opportunity that awaits them in their new country. More recent images and ideas composed in times where immigration restrictions have increased focus on the sources of violence and poverty immigrants are often leaving. The new dialogue surrounding the criminality of immigrants is a similar continuation of this fixation on violence. In many ways these conversations are not new or novel to our time. Each share the tradition of seeking to reduce these often complex experiences to easily identifiable and digestible narratives. 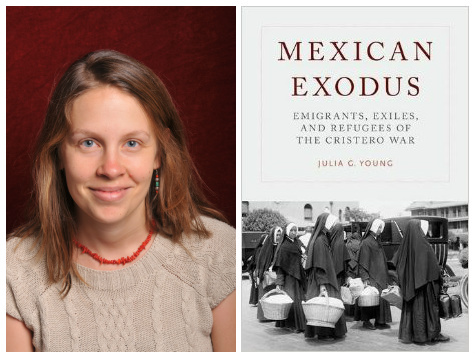 CLACS ’03 alum Julia Young has sought to investigate the variable and nuanced realities of the immigrant experience in her newest book Mexican Exodus: Emigrants, Exiles, and Refugees of the Cristero War. 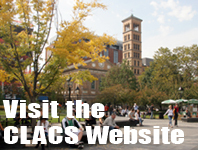 Young’s interest in migration began as she started her career as a Latin America scholar as part of CLACS. Young’s Master’s thesis provided nuance to the immigration experience by quantifying, from a sociological perspective, how Mexican immigrants have assimilated into American culture. Julia credits CLACS for providing a multi-disciplinary educational opportunity that allowed her to meld her interest in the immigrant experience with studies of contemporary Latin America. After graduating from CLACS, Julia used her expertise in writing as a journalist and editor before deciding that she missed the thrill of research and began to pursue her PhD in History at the University of Chicago and becoming an Assistant Professor of History at The Catholic University in Washington DC. Stepping out of customs and into one of the many cabs queued up outside of Mexico City’s Benito Juárez airport, I became immediately consumed by all things Chilango. Street performers and vendors at traffic lights, insane amounts of traffic, delicious spits of marinated pork known as al Pastor slowly rotating on the sidewalk and so. many. people. The sights, smells and sounds of the megalopolis almost subsumed my attentive capabilities so that I barely caught the taxi driver asking me where I was coming from. My Spanish accent (or the fact that I was leaving an airport) must have given me away. ‘The United States, Texas’, ‘Ahh the United States, there are a lot of racist problems over there, right?’ ‘And that politician, he said a lot of bad things about Mexicans’. While trying to avoid an elongated discussion on why Donald Trump lowers the political standards of the country with his shameful and inflammatory rhetoric, I did want to engage my driver’s interpretation of America’s race problems. On Monday, March 2nd, our Spring 2015 Colloquium Lecture Series continues in exploring the topic of Latin American independence through an interdisciplinary lens that includes political history, political theory, and cultural studies. For this second lecture titled “When ‘the New’ Conquered Latin America: Newness and Value in the Era of Independence,” we will be hosting Victor Goldgel-Carballo of the University of Wisconsin, Madison. In what promises to be a fascinating talk, Professor Goldgel-Carballo will explore the value of newness as an increasingly contested criterion throughout Latin America in the early 19th century. Focusing on problems of temporality in Havana, Buenos Aires, and Santiago de Chile, Goldgel-Carballo talk will analyze, among other things, the power to mark the emergence of a new time attributed to media and the development of new forms of discursive authority, such as the ability to be “up-to-date.” This lecture and the reception to follow will be held at the Deutsches Haus starting at 6pm. Victor Goldgel-Carballo is Assistant Professor in the Department of Spanish and Portuguese at the University of Wisconsin, Madison. His research and teaching focuses on 19th-century Latin American literature, media history, visual culture, and racial categories. His book Cuando lo nuevo conquistó América. Prensa, moda y literatura en el siglo XIX (Buenos Aires: Siglo XXI, 2013), was awarded the Premio Iberoamericano by the Latin American Studies Association. Cuando lo nuevo conquistó América reconstructs the emergence of the new as a modern criterion of value in Latin America. He has also published on the figure of the impostor in the Cuban novel, the Latin American origins of snobbery, and the aesthetic articulations of the art of “making do” in contemporary Argentina. 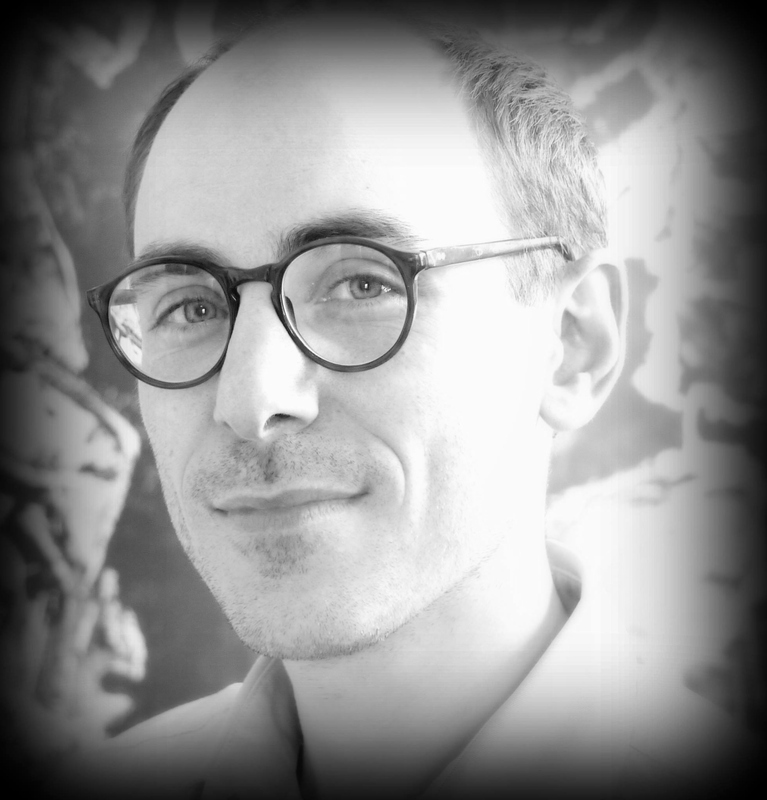 A recipient of fellowships and grants from the Social Science Research Council, the Mellon Foundation, the John W. Kluge Center, the University of Warwick, and the UW-Madison Institute for Research in the Humanities, he is currently at work on a book project entitled Passing as Open Secret: Race and Fictions of Identity in Nineteenth-Century Cuba. The March 2nd talk will be followed by a lecture titled “Race and the Transatlantic Print Culture of the Haitian Revolution, 1789-1865,” April 13th at the KJCC Auditorium by Marlene Daut, Assistant Professor of English and Cultural Studies Claremont Graduate University. 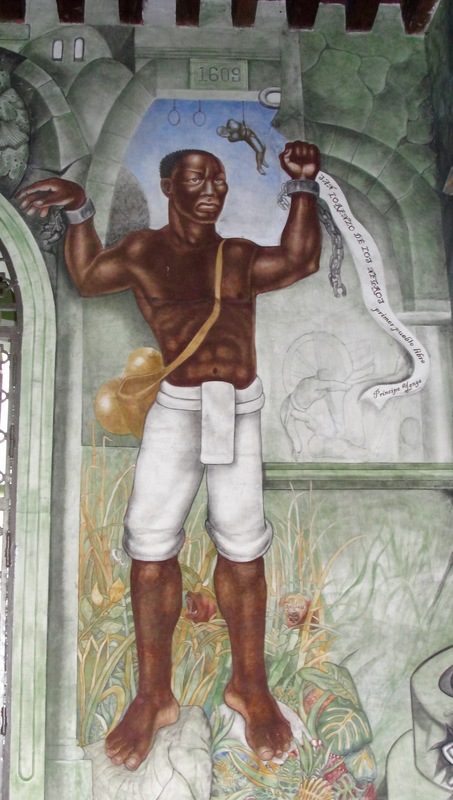 Two weeks later, on April 27th, novelist and professor at Goucher University, Madison Smartt Bell will give a lecture titled “Desalines Disembodied.” On May 11th, our closing lecture of the series will be “Bolívar as Slaveholder, the Image of 1815, and the Myth of Abolition,” by Michael Zeuske of Universität zu Köln, Iberische und Lateinamerikanische Abt./ Historisches Institut. To register for the March 2nd lecture please click here. For more information about the Colloquium series, and other upcoming events please click here or follow us on Facebook and Twitter. Teachers meet about the "Teaching Global History" book project. The “Teaching Global History” book project aims to bridge the gap between historians and history teachers. A group of four New York City public high school teachers, with help from NYU graduate students, are working to translate cutting edge history scholarship to a format that works for high school classrooms. 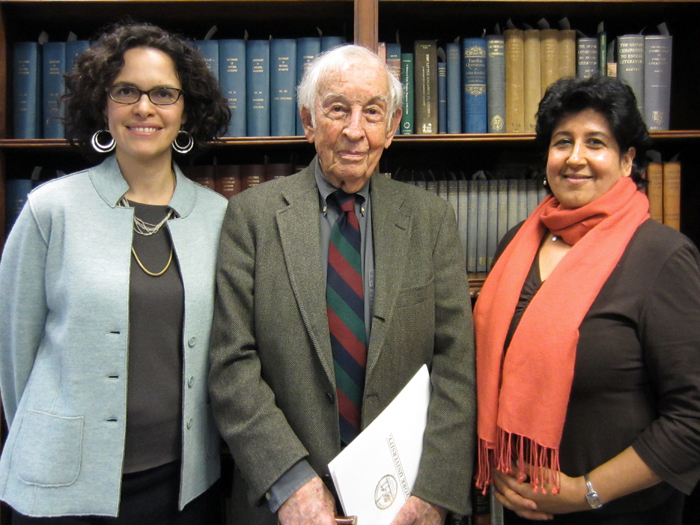 Mike Stoll and Maia Merin, both doctoral students in the Teaching and Learning department at NYU’s Steinhardt School, are coordinating the book’s Latin American history chapter, with institutional support from CLACS. “We want to get historians in touch with history teachers, and try to narrow the divide,” says Maia. The goal of “Teaching Global History,” is to suggest new ways of teaching global history that bring college-level academic scholarship to a level that younger students can engage with. Project coordinators and teachers will observe the curriculum in the classroom setting, and then evaluate the efficacy of the teaching themes and strategies. “The point is to get historians to talk to history teachers about instruction that actually happens in schools,” Mike says. On December 1 – 2, scholars and Caribbean studies enthusiasts came together for a two-day conference highlighting the recently acquired RISM Collection. 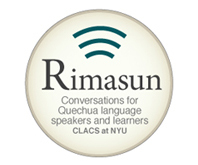 The expansive RISM (Research Institute for the Study of Man) Collection was founded in 1955 by Dr. Vera D. Rubin (1911–1985), and produced unique social science research ranging the fields of anthropology, history, demographics and medicine. 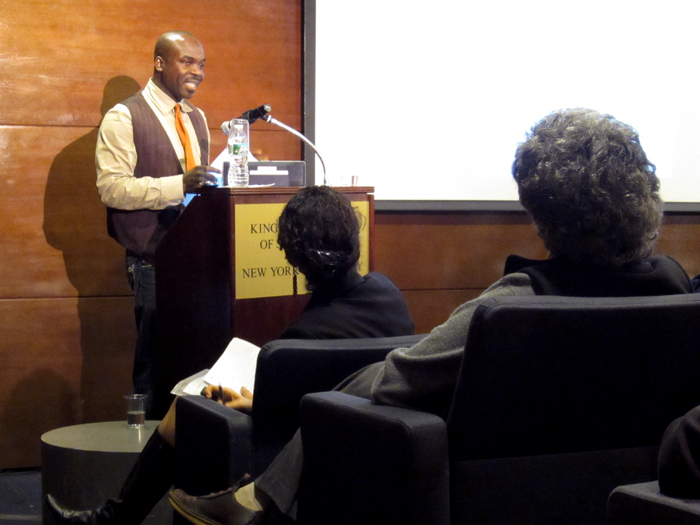 This conference focused on three specific collections from Trinidad, Puerto Rico and Cuba. The Puerto Rico Project, which scholar Sidney Mintz participated in, was conducted by Dr. Julian H. Steward and a team of anthropologists between 1947 – 1949. The collection includes field notes, meeting minutes, manuscripts, printed matter and other ephemera.